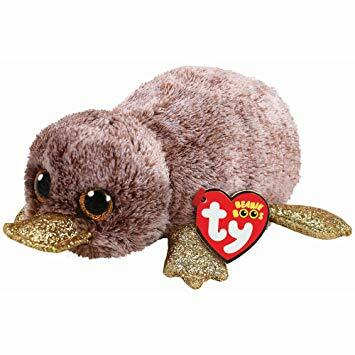 Perry is a brown platypus with four, sparkly gold feet. He has large, glittery gold button eyes and a sparkly gold bill. I hope our friendship brings you luck! Perry was released in June 2018. His Birthday is on 25th April. Perry is similar to another pink platypus called Wilma.